Newson – A new typeface family for corporate and branding projects. Starting out from a custom font created in a single weight for small-sized text on supermarket price tags, the letterforms were revised and altered completely, arriving at a new and original design. The proportions have been adjusted to be usable for text and display sizes and the typeface family was extended to span 7 weights, from Extralight to Black, with corresponding italics. Above: Image of the original version designed for a supermarket chain in 2006. Its functional, unobtrusive appearance is paired with a personality that inspires confidence and likewise is self-confident. Together with the wide range of weights, this makes Newson a quality choice for corporate design and branding projects. Although not explicitly developed for signage, the approachable shapes with open counters and terminals and the finely graded weights render it suitable for wayfinding applications, too. 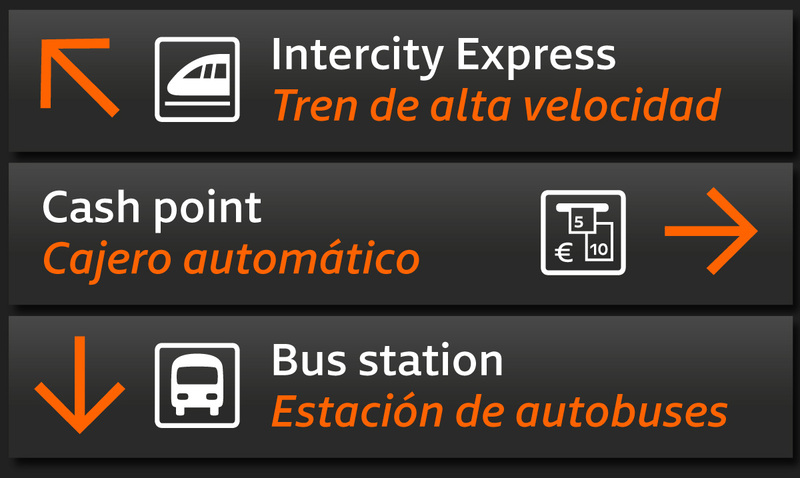 The family package is bundled with a selection of pictograms and other symbols for wayfinding systems, including circled and boxed numerals, in positive and negative variants. Newson’s versatility is enhanced by an extensive language support and features like small caps, various sets of numerals (oldstyle, lining, tabular lining and small cap figures), fractions, and arrows. Download a .pdf specimen, read more, test or buy Newson here. Trial versions for testing purposes in layout applications are available on request.